There are millions of devices hooked up to the Internet and generating data, from refrigerators monitoring their contents to webcams tracking intruders. These connected devices, collectively referred to as the “Internet of Things” often create work that needs to be done by humans. How do we keep track of all that work? How do we assign that work to an appropriately skilled and available worker? How do we know when it’s done? To solve problems like these Twilio just launched TaskRouter, a service to distribute work that needs to be done to workers who can do it. 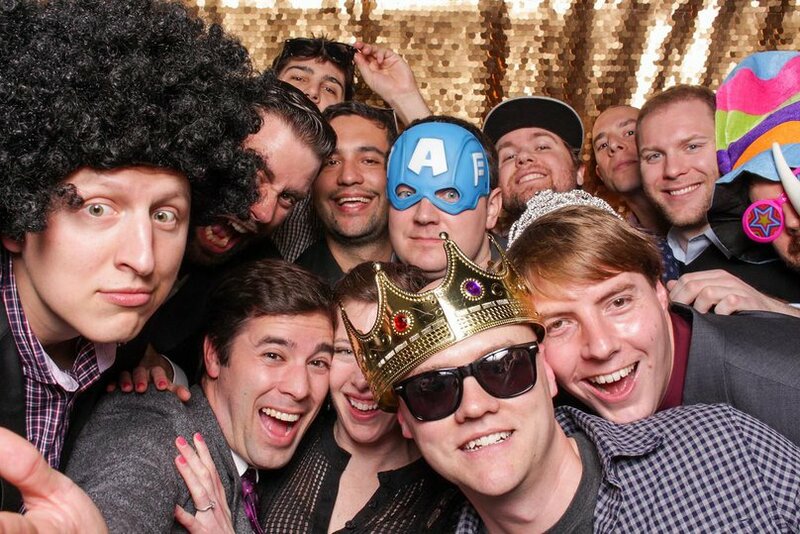 In a recent post, Greg Baugues showed how to build an Arduino Yún powered photobooth. In this post we’re going to take the images generated from the photobooth and create a task that only humans can do — coming up with funny captions. The photobooth tutorial culminated in uploading photos to Dropbox. This tutorial picks up where it left off. We’re going to build our distributed photo captioning app using Ruby and Sinatra. You don’t need a fully functional Arduino powered photobooth to follow along with this post. You do, however, need to set up a Dropbox app. You can find those instructions in the “Arduinos and Dropbox” section in the photobooth tutorial. Once you have your Dropbox app setup you can mimic the photobooth by manually uploading files to Dropbox. Your development machine is most likely hiding behind a router and lacks a publicly accessible IP address. However, both Dropbox and Twilio need to make HTTP requests to this app, so you’ll need to create a tunnel from the public internet to your local server. Our favorite way to do this is ngrok. If you haven’t already, download ngrok and move it to your home directory. Also sign up for a free ngrok account and follow the instructions on how to set up custom domains. This way you won’t have to change your webhook urls on the Twilio and Dropbox dashboards everytime you restart ngrok. If you’d like to learn more about ngrok, check out Kevin Whinnery’s great tutorial on ngrok. Leave ngrok open in a terminal window for the rest of this tutorial. Once your workspace is created, change the Default Activity from “Offline” to “Idle.” We’ll discuss why in a few minutes but the short answer is that we want our workers ready to receive work as soon as they enter the system. The key property here is Target Workers which states that workers eligible to complete Tasks in this Task Queue must have a skill of “caption”. For the purposes of this tutorial we’ll only have one kind of worker but Task Queue really starts to shine when you have a multitude of task types requiring a multitude of skillsets. Once you’ve completed this tutorial you’ll be in a great position to create something more complex. Once you’ve configured your Task Queue, click Save. Click Save to complete the Workflow creation. This is all the setup we need to do on our dashboard. Let’s get into the code. Along with the gems for the Dropbox and Twilio, we’ve included Envyable, a gem to manage environment variables. (For more on this, read Phil Nash’s excellent post on managing environment variables in Ruby). Copy in the values for your Twilio Account SID, Twilio Auth token — you can find these by clicking “Show credentials” in the top right of the Workspace dashboard. Then copy in the Workspace SID and Worklow SID — you can find these on their respective pages. Then paste in the phone number of one of your MMS enabled Twilio phone numbers. For the Dropbox token, visit the Dropbox App Console and click into the app you created earlier. In the OAuth 2 section, click Generate under “Generated access token” and copy the resulting token into the YAML. With our env.yml in place, our environment variables will now be accessible via ENV['NAME_OF_VARIABLE']. Now let’s start on our Sinatra app. Open ‘app.rb’, paste these lines, and save the file. Finally, edit the config.ru which tells our server what to do when we run rackup. Our application will utilize Dropbox’s webhook to receive notifications when files are uploaded. This allows us to create Tasks for our app as the photos come in. Before we use the webhook though, we have to verify our app with Dropbox. For the verification process, Dropbox will make a GET request to our webhook with a challenge parameter. Our HTTP response must simply include the text of that challenge. Restart the app. Then visit the Dropbox App Console and add http://.ngrok.com/dropbox to the Webhook URIs field. Once you click Add, Dropbox will verify our domain. We could delete the GET /dropbox route after that, but if we ever change domains (e.g., deploy to production) then we’re going to need to reauthorize again. Might as well leave it there. If you’d like to learn more about this authorization process or about interacting with the Dropbox API in general, check out their well-written API docs. When a photo is uploaded, Dropbox will make a POST request to our /dropbox webhook (this is in addition to the GET /dropbox we used to verify our app). The information provided in the POST request is pretty limited. It only contains an array of User IDs that have new file changes in the Dropbox app we configured but it doesn’t contain any additional information about the actual file upload itself. Since we the webhook request doesn’t tell us which files were added, we need to request a list of recent Dropbox changes via their delta method. In order to make sure we’re not getting duplicate changes, we need to save a “cursor” returned to us by Dropbox and pass it back in on subsequent delta calls. For the sake of moving fast in this tutorial, we’re going to do this the wrong way and store the cursor in a global variable. Please use a proper datastore in a real app. And finally, it will return a 200 — otherwise Dropbox will keep trying the request over and over and over again. If you’d like to learn more about what we’ve done here, check out Dropbox’s core API docs. Let’s test what we’ve build so far. Restart your Sinatra server and upload a file to Dropbox — either via your Photobooth or by simply dragging an image into the folder of the your Dropbox app. Once the file uploads, the webhook will fire and hit the /dropbox route, which will then create a task in TaskRouter. Open the TaskRouter dashboard and go to the Tasks page. You should see a new Task. If you click on the Task, you’ll see the image_url. Now that we can create tasks, we need workers who can complete those tasks. Workers will join the system by texting our Twilio number. We need to configure the webhook that Twilio will use when it receives a new text. Open the numbers list on your Twilio dashboard, click on the phone number you entered earlier into the env.yml, and configure the number by setting the Messaging Request URL to http://.ngrok.com/message. They’re texting in for the first time. We’ll create a worker using their phone number as a friendly name. They’re providing a caption. We’ll save it, then set the worker as ready to receive more tasks. Before we create the route to handle the webhook, let’s create two more helper methods in twilio_helpers.rb. Now let’s head back to app.rb and create a /message endpoint. We’ll also reply with a text message telling them to hold tight and wait for their photo. Let’s test this out. Restart your server, then send a text message to your Twilio number. Once you get a reply, check the workers tab on the TaskRouter dashboard. You should see a new worker that has your phone number as a friendly name. Something else is afoot though. If you look at your server, you’ll see that TaskRouter tried to make an HTTP request at /assignment, but we haven’t defined that route yet. Let’s do that now. When we have a task in the system and an idle worker who’s qualified to do the work, TaskRouter starts to perform its magic. When TaskRouter sees a potential match, it makes an HTTP request to the assignment webhook defined on our Workflow dashboard. This HTTP request sends information about the task and asks if you’d like the worker to accept it. In that request, we have everything we need to send a worker their task: the image_url and worker’s phone number. We also need to store data about our image urls and captions. We’re not going to tell you how to do that in this post. Feel free to use MySQL, DynamoDB or the storage engine of your choice. For the purposes of this post, we’ll just leave a comment where you would save the pieces of data you want to persist. The first four lines extract the image_url and phone_number from the parameters sent to us by TaskRouter. Then we send a photo using a Twilio helper we’ll define in a second. The last two lines return JSON telling TaskRouter that our worker accepts the task. We’ve got everything in place to assign a task to a worker and to send them an image to caption. Let’s try it out. We need your phone number to be a “new” worker for this to work, so go back into your dashboard, click on the worker you created previously, toggle their Activity to “Offline” and then delete it. Then restart your server to load the changes we just made. After that, send a text to your Twilio number again, and our app will respond with the introductory text like last time. Now TaskRouter makes a POST request to your newly created /assignment route. You can watch this happen by visiting localhost:4040 in a browser. That route will fire off the MMS with the Dropbox picture to your phone. We’ve created a worker in the ‘Idle’ state and they’ve just received their first captioning task. What happens when they text back? After we’ve saved the worker’s caption, we’ll transition them back to the ‘Idle’ Activity so that they will receive more photos to caption. That’s all the code for this app. Restart your server to reload the changes. Then send a hilarious text to your Twilio number. You’ll get a thank you back and your activity in TaskRouter will be switched back to Idle. If there are more tasks waiting in the taskqueue, TaskRouter will make another POST request to the /activity route and your phone will light up with another picture. You’ll respond with a funny caption, and so it goes. Create specialized captioners (for instance, some people might be better at captioning wedding photobooth pictures while others are better at office party photos). Create a second Task Queue for people who can rate captions (the Internet is great at quantity but we might want some quality control). Build a website to show off these hilarious captions. I’m really excited to see what you build with TaskRouter. If you have any questions while you’re building your application, please reach out to me via email at brent@twilio.com or hit me up on Twitter @brentschooley.